Written by Kim Pasche and Bernard Bertrand, Terran editions 2013. On the total opposite to hyper technologies from which descend our modern tools, techniques that we call « primitive » seem to be an irreplaceable source of autonomy. When we take a closer look, primitive skills symbolize the union between mankind and their natural habitat. They are the threads that bond together everything that surrounds us, and the objects that are manufactured are their representation. What is surprising is the simplicity and efficiency of these skills that make the basic techniques accessible to all. Through six chapters that describe the origins and history of these techniques, this illustrated book initiates us, step by step, to the realization of primitive skills: an invitation to come back to self-reliance in nature and feed our feral child’s dreams! 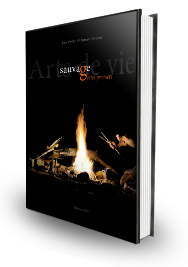 “Arts de Vie Sauvage et gestes premiers” is the story of a meeting between Kim Pasche, an experimental archeologist, and Bernard Bertrand, a writer and farmer. They were both inhabited with the desire to discover our ancestor’s ways. They left together for Yukon in 2008 where, during one month, they lived in total autonomy. They learned from this experience and those after it, that there are alternative ways to live, opposed to our high speed lifestyle. They also found that there are well adapted skills for living in the wild. Antoine Plantevin, TV show Passe-moi les jumelles. Listen on the radio: show Détours 5th May 2014, Swiss radio RTS. Collective works, Ypypyp editions, 2015. Learn to make bread, build a solar oven or your own tiny house, can practical files help us become self-relient? YpyPyp editions have created the first encyclopedia to become self-relient in all aspects of life. Kim had the pleasure to contribute to this collection by creating to files “L’art du feu en extérieur” or « The art of outdoor fire » and « Je fabrique un sac à dos en pleine nature » or « How to build a rucksack in the wild ». These files are available seperatly or as a box. They are for sale on the website ypypyp.fr and in many shops in France. Listen to the radio: Terre à Terre radio show by Ruth Stégassy in September 2015 on France Culture, entirely about the pratical files by YpyPyp editor. Written by Frederika Van Ingen by the editor Les Arènes, 2016. « To turn to the future, why not look into the knowledge and the form of universal wisdom withheld by the native people ? 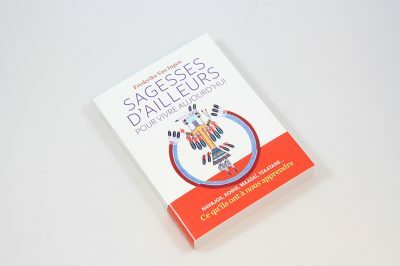 It is to this question that the journalist Frederika Van Ingen answers in Sagesses d’Ailleurs pour vivre aujourd’hui (ed. Les Arènes). 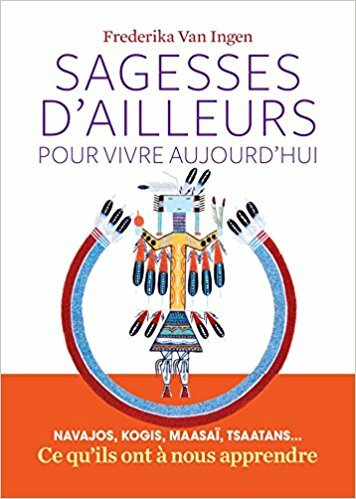 She gives the perspective of eleven guides – as is the fascinating Kim Pasche – who have lived in contact with the Navajos, Maasaï, Kogis, Peublos, Apaches, Lakotas, Surui or Tsaatans in Mongolia. The author of this book explains these people invented “personal development” way before us and proves to what point they put it into practice thousands of years ago. Written by François Couplan at the Sang de la Terre editions. Photos by Pâris Faini. The town is, by definition, it is the paradise for concrete and the top of artificiality. The presence of elements of nature, like plants, seem incongruous. Although, who has not seen a green sprout between two cobbles, a flowering stem shooting up from a crack in the pavement ? 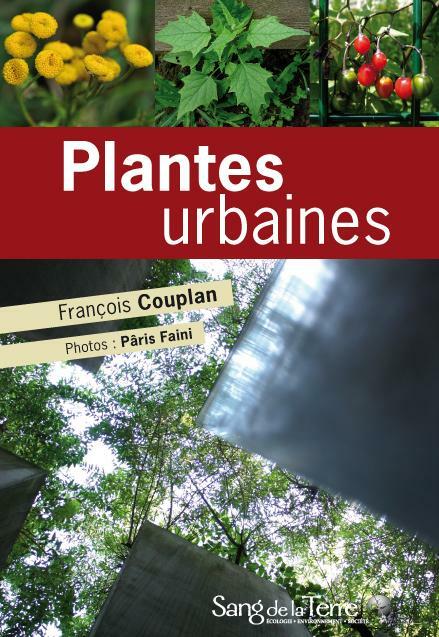 This book will bring you to discover a hundred urban plants and help you to identify them and learn their use in urban surroundings. The photographs of this book we taken by our friend Pâris Faini, ethnobotanist, nature photographer and animator for wildlife courses. Buy the book on the website of Sang de la Terre editions.